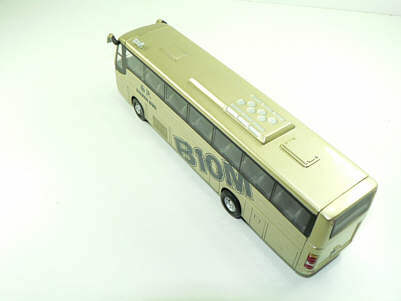 The model - I received the above model in early January 2006. I was informed that it was a promotional model commissioned by Volvo. Mine was unboxed, had no limited edition certificate and carries no front registration number. Having made an appeal for further information on this model, Mini Pointer Dart has kindly provided further information and photographs of a certificated model. 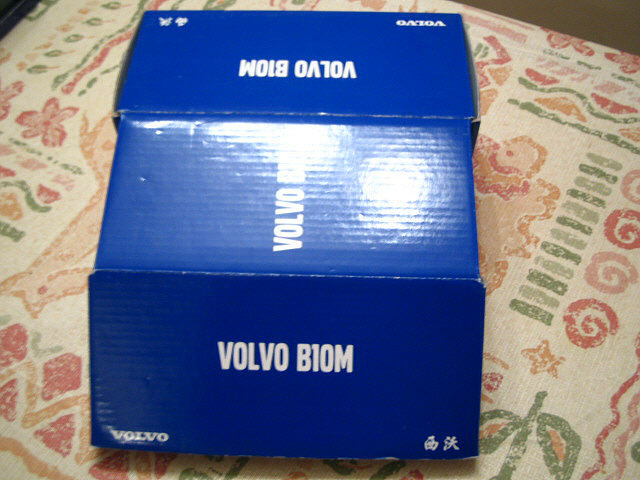 The certificated model is limited to 500 pieces and comes in a blue Volvo box. 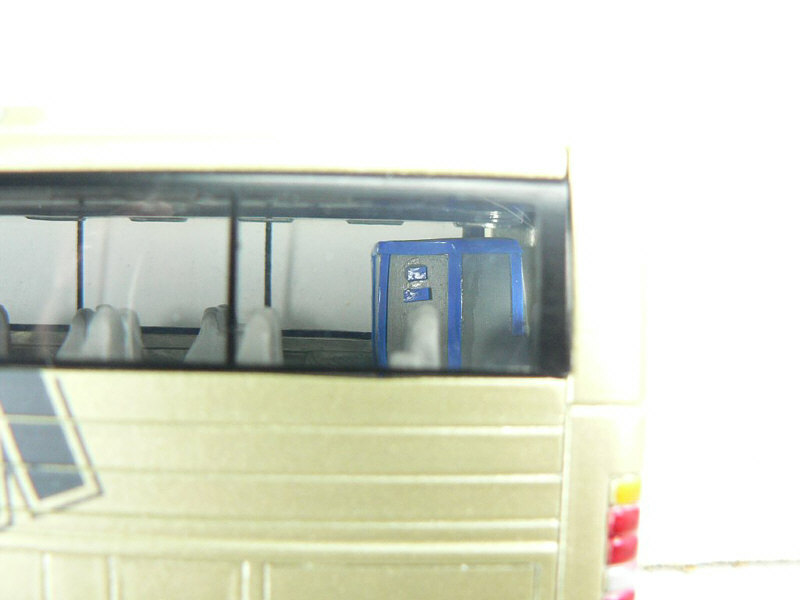 It sits on a wooden effect plinth. 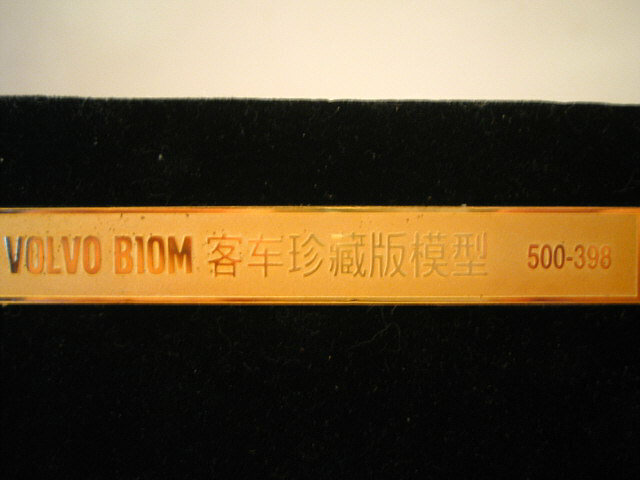 The limited edition certificate is I believe on the underside of the plinth and the same limited edition number is displayed as the front registration number. 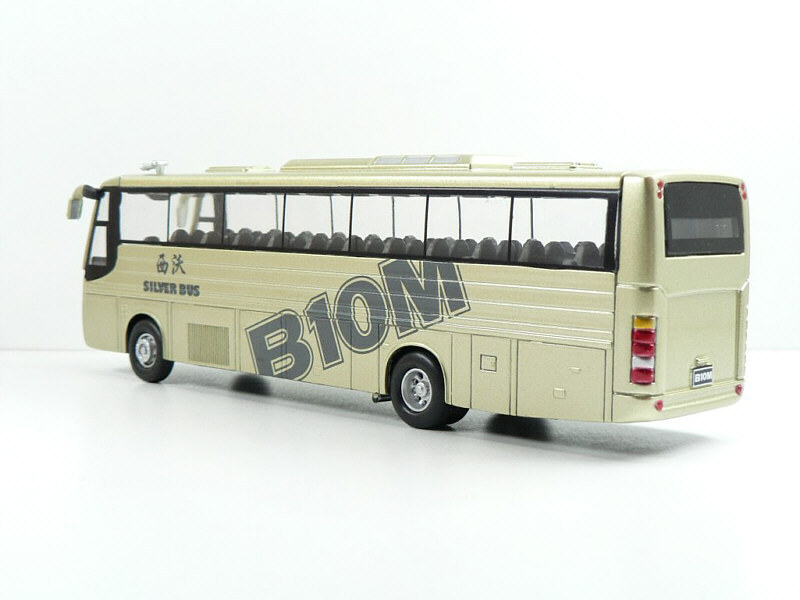 The rear registration number reads B10M on both models. 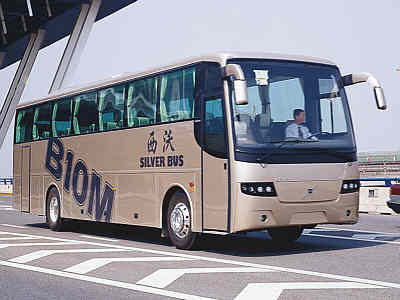 The bus - The Xi'an Silver Bus Corporation mainly produces B7R and B10M buses is one of many manufacturers which produce luxury tour buses and inter-city long-distance bus. 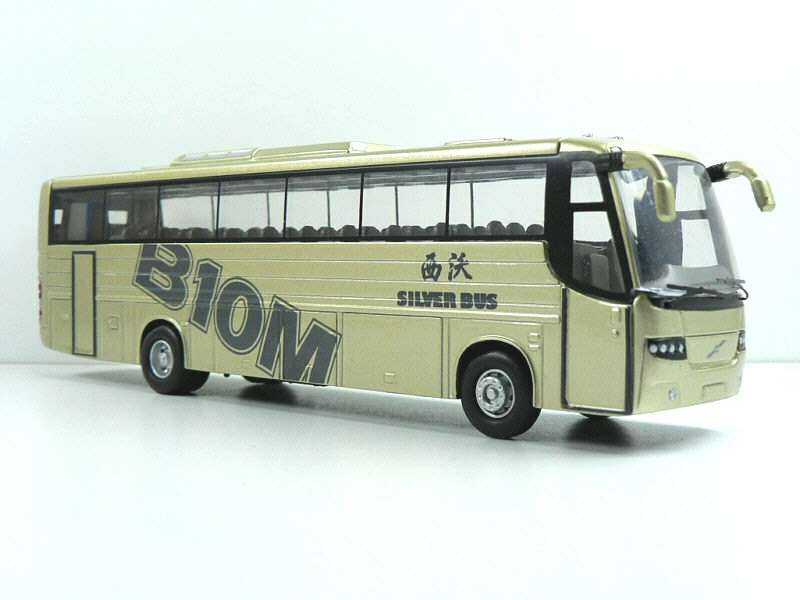 Established in 1994,the company is a joint-venture enterprise invested by the Xi'an Aircraft Industry (Group) Company Limited and Volvo Bus Corporation which is the second largest manufacturer producing heavy-duty bus. 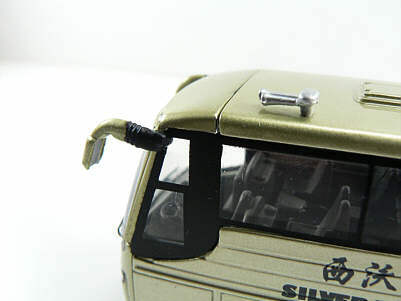 Since 1995, Xi'an Silver Bus Corporation has produced more than l,500 buses. 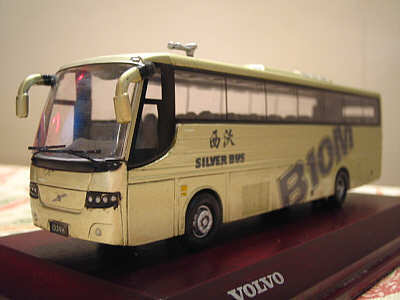 It is a Volvo 9700 (on a B10M chassis) built in China by the Xi'an Silver Bus Corporation based in Yanliang Economic Development Zone, Xi'anCity, Shaan-xi Province, China and the pictures illustrate the company livery. Needless to say, the model illustrates the livery exactly. 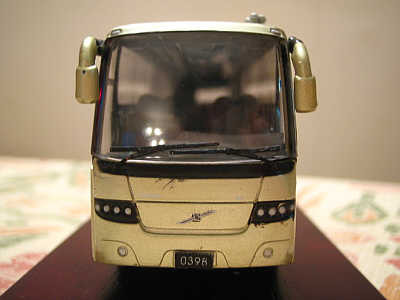 The real bus has the registration number pasted to the front windscreen whilst the model has no frontal identity.